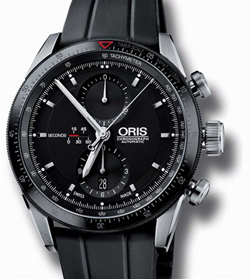 The GT Chronograph Oris Artix, the result of innovation and design, is the latest model in the range Oris. 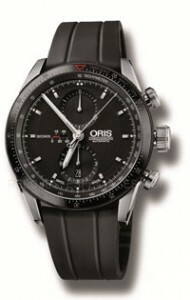 Heir to the legacy of Oris Motor Sports, a contemporary watch combines timeless design and sporty elegance. 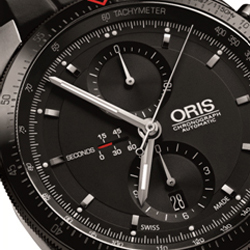 The watch features an automatic mechanical movement with chronograph function and date. The field, two-piece black ring provided with a mate and tachymeter scale is coupled directly to the box, and has counters of minutes and hours, and rates applied.